Somebody nailed this one. 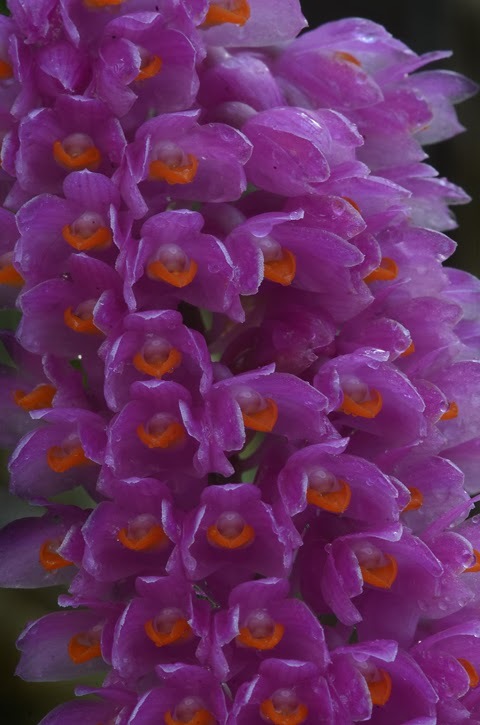 On Dendrobium secundum, the flower spike appears at the very end of a narrow tapering cane. 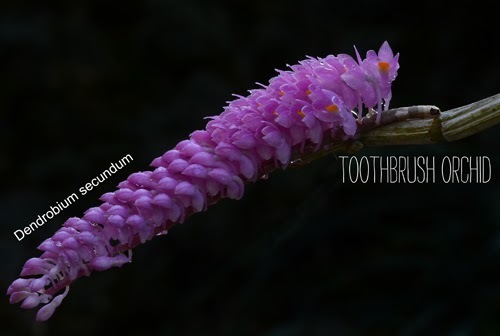 The flowers are densely packed, like bristles, and all pointing to one side. If I were a Photoshop ace, I would put one of these in a ceramic mug alongside a tube of Crest on my bathroom sink. 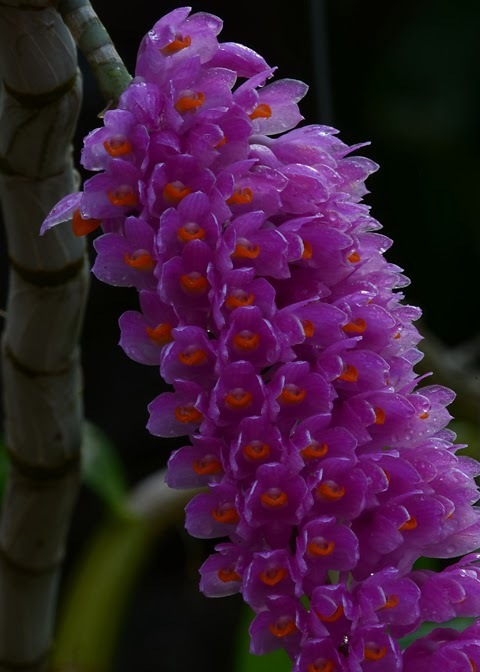 Dendrobium secundum is pretty common in cultivation (there are pink and white forms) and widespread in nature. It grows as an epiphyte from sea level to about 700 meters in dry forests in southeast Asia, Borneo, New Guinea and the Philippines. 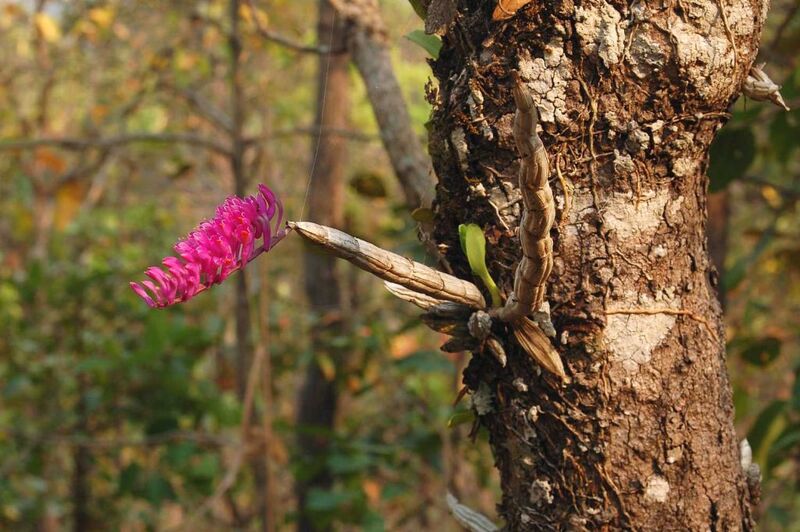 Since Dendrobium secundum comes from seasonally dry areas, we try to accommodate it with a dry rest in winter. We let it go bone dry and stay that way for a day or two between waterings. It never completely sheds its leaves in winter. It does well in our warm greenhouse (65º night minimum) in 50% shade.